Develop the skills and strategy to become a leader in soccer coaching. The United Soccer Coaches Master Coach Diploma / University of Delaware Master Coach Certificate is the educational pinnacle of United Soccer Coaches. Candidates who successfully complete the requirements for the course will receive the United Soccer Coaches Master Coach Diploma, a non-credit certificate, and 9 continuing education credits from UD. This program is designed for coaches and soccer organizational leaders (e.g. directors of coaching, club general managers, technical directors, academy directors, college coaches and executive directors) who work or aspire to work at the highest level of their profession. 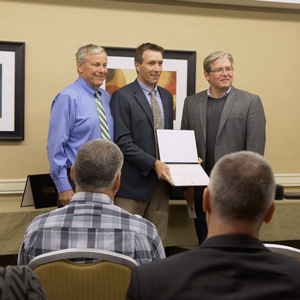 In this video, hear from faculty and students as they talk about why the University of Delaware Master Coach Certificate is the educational pinnacle of United Soccer Coaches. Module 1: A seven-day residential program at UD, consisting of lectures, projects, guest speakers, participant presentations, group work, field trips and project planning. You will prepare for the residential module by completing an online session and reading assignments. Module 2: In addition to a reading assignment and review, you will create either an individual or staff professional development plan with a provided framework. Module 3: Twice-a-month online instructional sessions, as well as the implementation of projects that were proposed and approved at the conclusion of Module 1. You will be assigned a mentor to provide guidance and monitor your progress. Module 4: A three- to five-day apprenticeship in an approved environment, during which you will shadow staff and complete assignments and reports based upon your observations, interviews and reflections. Module 5: Participants will meet at the Annual United Soccer Coaches Convention to present the results of their projects for jury review. In order to successfully complete the course, you must complete all assigned work and your final project must pass professional jury evaluation. The centerpieces of this program are a one-week residential institute at the University of Delaware and the 2020 United Soccer Coaches Convention. Program tuition of $4,499 includes a one-week residential institute at UD with room and board and all online and in-person instruction. Individuals will receive a $500 tuition reduction if they 1) successfully completed the United Soccer Coaches Director of Coaching Course or 2) are recommended by a graduate of the United Soccer Coaches Master Coach and Soccer Leader Course. A full refund, less a $75 processing fee, will be provided to anyone who withdraws from the program if written notice is received by mail or email prior to April 5, 2019. A full refund, less the $1,500 non-refundable deposit, will be provided to anyone who withdraws from the program if written notice is received by mail or email from April 5, 2019 through May 3, 2019. No refunds will be given after May 3, 2019. 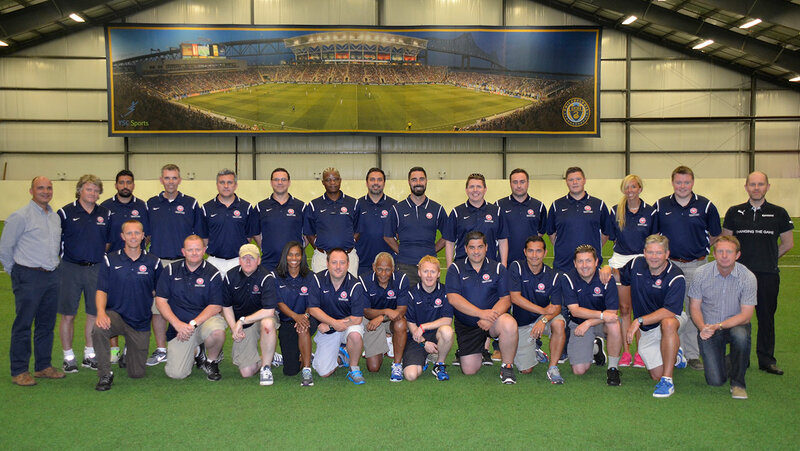 Admission to the United Soccer Coaches Master and Soccer Leader program is by application. Candidates must hold a United Soccer Coaches Premier Diploma, a U.S. Soccer “A” license or an equivalent license from an international federation. Preference will be given to candidates who have experience with professional or high-level soccer playing and/or coaching. Candidates will be evaluated on their professional experiences and awards. Applications will be evaluated for admission as they are received until the deadline, and each applicant will be notified of their status after the application review. Thirty-six participants will be accepted. A $1,500 non-refundable deposit is required upon acceptance into the program. Registration details will be sent to admitted program participants upon acceptance. We encourage applicants who may need financial support from their clubs to discuss with their clubs the possibility of partial or full funding before completing the program application. Andrew has had extensive soccer experience, as a player and directing coaching activities both in England and the United States. Mr. Donnery has worked with several U.S. organizations including: the Cape Fear Soccer Association; the Wilmington Hammerheads Professional Team; and Coastal Carolina Soccer Camps and has consulted and presented to over 70 organizations and 100+ conferences within the US, UK, New Zealand and Australia. He has also acted as a Coach Educator and Instructor for the United States Soccer Federation and worked with the North Carolina Youth Soccer Association as a member of their Olympic Development Staff. He has served as a committee member with the NCYSA Academy Committee and the NCYSA Coach Educators Committee. Andrew obtained a bachelor’s degree in applied psychology from Liverpool John Moores University and has just completed a Master in Business Administration from the University of Liverpool. He holds the following coaching qualifications UEFA “A” License, UEFA International Coaching License, UEFA 12-16 Youth License, UEFA 17-21 Youth License, the USSF National Youth License, NSCAA Premier License, NSCAA Master Coach Diploma, NSCAA Director of Coaching Diploma and the English FA Academy Manager’s License. He also authored a book called “Let the Kids Play”. The book was designed to put the fun back in the game with a collection of enjoyable, stimulating and developmentally appropriate exercises for young players. Over the years Andrew has placed players into Division 1 College Programs, State ODP, Region ODP and the U.S National Team. Andrew served has the state ODP Director for Cal North as well as designing the 3rd largest league in the country. He currently directs the NSCAA Director of Coaching Diploma and co-authored the NSCAA Advanced DOC Course. In 2014 he was appointed as a Technical Advisor to Bermuda FA Academy and coached the U17 Bermuda FA team. Andrew is currently the CEO of Elk Grove Soccer and the Fresno FC U23 Head Coach. Ian Barker serves as a staff instructor for U.S. Soccer’s coaching education program, teaching both state and nationally hosted residential licenses. He served as the men’s soccer coach at Macalester College in St. Paul, Minn. and assistant coach of the University of Wisconsin men’s team from 1989-97. He has also instructed the National Youth License for US Youth Soccer. From 1997 through 2007, he served as Director of Coaching and Player Development for the Minnesota Youth Soccer Association (MYSA), where he co-developed Parents and Coaches Together (PACT), a training program designed to create a more positive soccer experience for players, coaches and parents. Barker has also served as technical director for International Sports Connection, part of a team funded by the U.S. State Department to assist in the creation of a youth soccer system in Uganda. Through this program, he has educated nearly 400 Ugandan coaches. Ian Hennessy, a former All-American soccer player at Seton Hall who served as an assistant coach at Boston College for four seasons, was named the new head coach of the University of Delaware men’s soccer program in 2006. The Blue Hens have since posted some of finest seasons in school history. In 2011, Henessey led his squad to a Colonial Athletic Association Tournament title and a first round NCAA victory. In 2013, the team set a number of school records and saw another NCAA Tournament first round appearance. For his efforts, Henessey was named the South Atlantic Region Head Coach of the Year by the United Soccer Coaches (formerly NSCAA) in 2013. He has guided many student-athletes to win prominent awards and earn placements on prestigious teams. A native of Cork, Ireland, Hennessy earned his bachelor’s degree from Seton Hall University in 1990 and earned his doctorate in molecular biology from Columbia University in 2001. Hennessy began his collegiate coaching career at Rutgers University in 2001 before working for Boston College for four seasons. Hennessy’s 12-year professional career including playing with the Boston Bolts of the American Pro Soccer League and the United States Indoor Soccer League’s New York Fever and New Jersey Stallions. He was a member of the Major League Soccer’s New York/New Jersey MetroStars, and played for the Connecticut Wolves of the A-League and the Reading Rage of the United Soccer League. Paul Marco finished his 13th season as the head soccer coach at Binghamton University in 2014. Under his guidance, the Bearcats have transformed into an established program and a fixture on the conference, regional and national scenes. Prior to his arrival at Binghamton, Marco served assistant coach and then head coach at West Virginia University. As a Division I player for WVU, Marco led the program to one of its finest seasons in school history in 1990. Marco holds a bachelor’s degree in physical education and a master’s degree in physical education/athletic coaching from WVU, and is a teacher certified in grades K-12. Marco also holds a United Soccer Coaches (formerly NSCAA) Advanced National Diploma and a USSF “B” License, has been a member of the national staff for 20 years and a member of Senior Staff since 2005. In that capacity, Marco has taught various levels of the United Soccer Coaches academy curriculum courses, and has published numerous articles. He also served as vice president of the Big East Soccer Coaches from 1999-2001. Matthew J. Robinson is a professor and the director of the sport management program at the University of Delaware, and the International Coaching Enrichment Certificate Program (ICECP) funded by the U.S. Olympic Committee and the International Olympic Committee’s Olympic Solidarity fund. Robinson serves as the Director of Sport Research for the Center for Applied Business and Economics Research (CABER), consulting with the United States Soccer Federation and the Colonial Athletic Conference. Robinson also serves as director of management education for the United Soccer Coaches (formerly NSCAA), where he develops curricula and programs to train soccer club leaders in the United States. The program has seen over 800 coaches receive a Director of Coaching credential from the NSCAA. From that experience, Robinson wrote the text Sport Club Management. Robinson is also the author of the highly successful sport management text Profiles of Sport Industry Professionals: The People Who Make the Games Happen, has authored over 25 articles and made over 100 national and international scholarly and professional presentations. Jeff Schneider is an instructor in the Department of Kinesiology and Applied Physiology at the University of Delaware. He is also the coordinator of UD’s strength and conditioning education program and the director of strength and conditioning and athletic training at UD’s High Performance Training Center. Schneider is the assistant director of the International Coaching Enrichment Certificate Program (ICECP). He has worked with numerous national, world and Olympic figure skaters. Schneider graduated from UD with a master of science with a concentration in exercise physiology. He holds certifications form both the National Athletic Trainers Association and the National Strength and Conditioning Associations. Please review these requirements and recommendations pertaining to travel arrangements that individual participants must make for this program. Foreign national participants are encouraged to consider purchasing travel medical insurance if their current health insurance plan or travel insurance does not provide coverage for medical care while traveling in the U.S. Participants are responsible for making their travel arrangements for the Delaware portion of the program (Module 1) and for the 2019 United Soccer Coaches Conference portion of the program (Module 5). Travel for Module 1: University of Delaware, Newark, Del. The program begins at 2 p.m. on Saturday, June 9, 2018 at the University of Delaware. All participants should plan to arrive at the hotel by 2 p.m. on June 9. The closest airports to the University of Delaware are Philadelphia International Airport and Baltimore Washington International Airport (BWI). The program ends at 12 p.m. on Friday, June 15, 2018. All participants should depart that afternoon. Participants are required to make their own travel arrangements to the 2019 United Soccer Coaches Convention. The participant fee for this program includes the cost of the hotel room and tax at the Courtyard Newark – University of Delaware. Participants will share a queen guest room with another participant. Participants do not need to contact the hotel to make a reservation. We will provide the hotel with a rooming list. Check-in is at 3 p.m.; please let us know if you will require an earlier check-in.